Since Chromville has their #ChromvilleHalloween contest underway I thought I would share one of my lessons I do with my students with Chromville's Custom Character. I love to use more than one app so with this lesson I've paired it up with AugThat and Pic Collage. 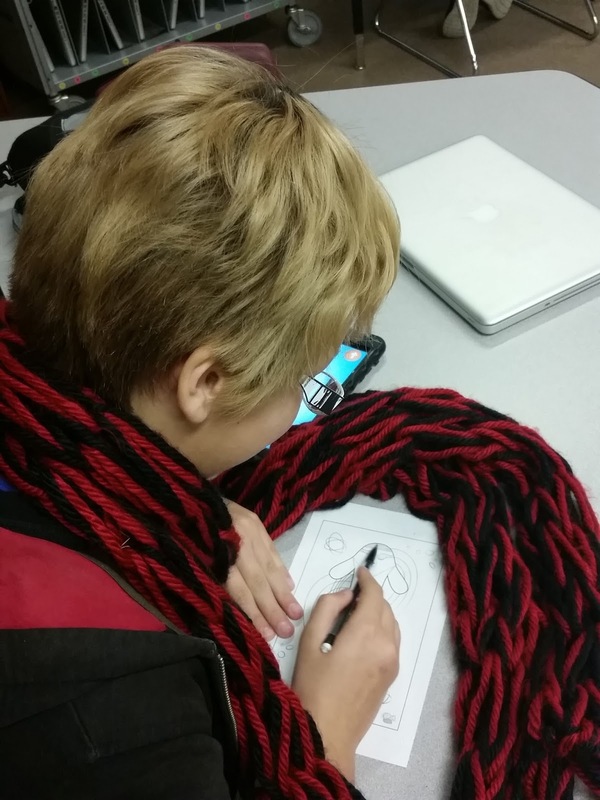 I have my students design and decorate Chromville's custom characters and write a story that focuses on the character's talents. I also have students explore possible environments using AugThat's 360° Environment triggers. I then have students take pictures of the environment and their character then make a photo collage using Pic Collage to go along with their story. I do have my students publish their stories as a blog post. Students love to design their characters and tell stories about them. Adding the 360° Environment just helps them visualize a possible environment that their character could actually live. 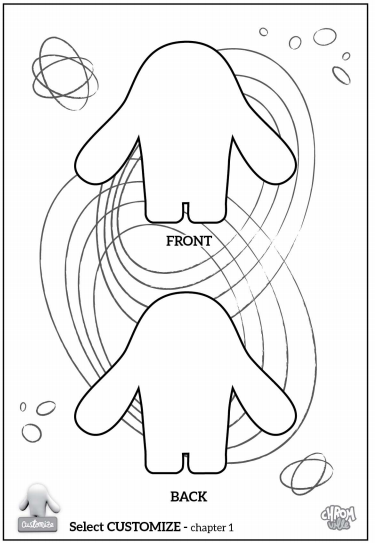 Click here to view my "Bringing Characters to Life" lesson plan. Are you ready for the Halloween night? So are we! That’s why we have prepared something really special for all of you. Pay attention to this guideline. The winner of the first Chromville Halloween design contest will win a free access to the new Chromville World. Let’s go! Goal: design the most creative Halloween Chromer! Prize: the winner will win a free code of Chromville World. Learn more about what includes this amazing package! 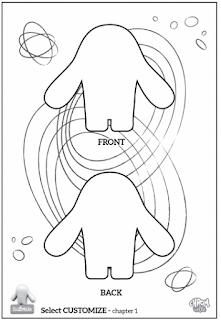 Go to their website and download their customize coloring page. Share your creation with them on the social networks as Facebook, Twitter, Instagram or Pinterest. Remember include @Chromville in your text or use the hashtag #ChromvilleHalloween. All the designs shared with @Chromville or #ChromvilleHalloween will be included on the raffle. They will gather them on their Pinterest board! Deadline: October 29 23.00 pm EST time zone. They will announce the winner on October 31. Don't forget to include the hashtag #AR4Kids and to fill out the form so I know you are using AR with your kids. AugThat wants to help reach 1 MILLION students with their educational augmented content. They are going to give a free licence to every student or teacher no matter where you are in the world. All you have to do is contact Lisa (lisa@augthat.com) and let her know you want to be apart of #AR4Kids and she will set you up with the licenses you need and will give you access to the triggers. You will get a sample of the different types of augmented triggers that AugThat has to offer along with a few I've selected. My favorite triggers are their augmented 360 environments with their Virtual Field Trips becoming my 2nd favorite augmented triggers. 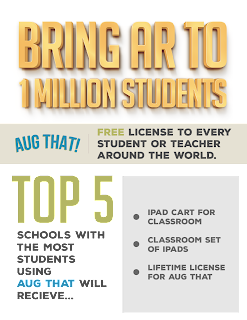 Not only do they want to give students access to educational augmented content they are going to give the top 5 schools with the most students using AugThat's content a iPad Cart for a Classroom, a Classroom Set of iPads, and a Lifetime License for AugThat. Don't worry if you have a small school they are going to go by percent of student use. So if you are a small school and you have 90% of your student body using AugThat's educational augmented content compared to a larger school and they they only have 40% of their student body using AugThat's educational augmented content you will be ahead of them. Keep your eyes peeled on our Google+ Group Augmented Reality for Education's Augmented Lessons. I will be posting augmented lessons here. 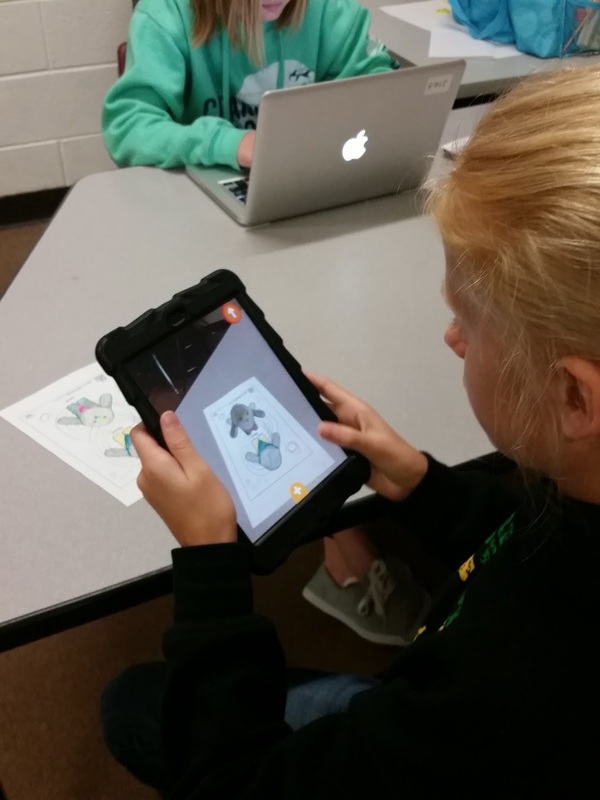 Augmented reality is a very powerful learning tool that transform the classroom like nothing else. You can bring the world even the universe to your classroom. My goal is to help teachers harness the power of augmented reality and help them use this powerful tool in their classroom. I would love to reach at least 1 million kids. All you have to do is try at least one Augmented Tool with your students and let me know how many students tried the tool. There are several Augmented Tools you can try. I have a Symbaloo Board full of tools you can choose from. It is best to login to your Symbaloo and add this board to your list to view all of the tools. After you have tried an Augmented tool please fill out this form. This will help me keep track of how many kids we are reaching with augmented content. You can fill out the form for each time you try an Augmented tool with your students. If you are using social media you can also share your experience with the Augmented tool by using the hashtag #AR4Kids. I am working on creating lessons that are enriched with Augmented content. Keep your eye in our AR Lesson section in the Augmented Reality for Education Google+ Group. The next lesson I will be posting will be a unit over the book Charlotte's Web along with a few Augmented STEM lessons. AugThat is wanting to help reach 1 Million kids through Augmented Reality and will give teachers a sample of Augmented content to help with this cause. 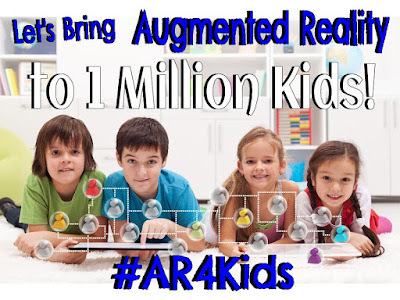 To receive your augmented content please contact lisa@augthat.com and let her know you are helping us reach 1 Million kids please use the code #AR4Kids. She will set you up with an account and the give you access to their augmented triggers. 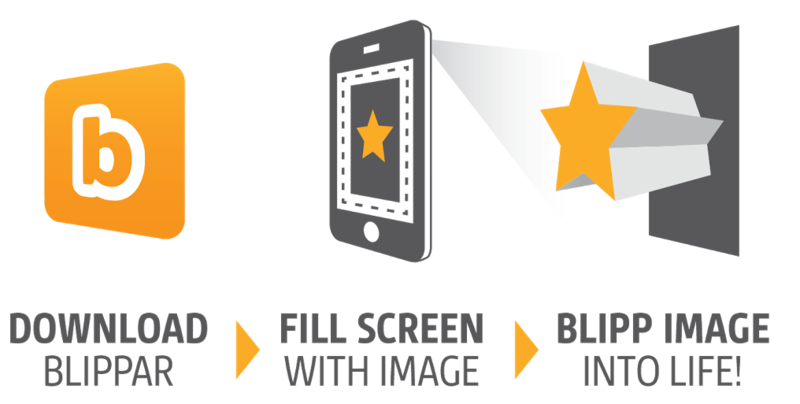 Blippar also has a Augmented building platform that is easy to use. You will need to contact Stephen and the EDU team at Blippar and he will set you up with a free account so you can start creating your own AR content. If you can drag, drop, copy & paste you can create simple Augmented content too. You can also reach out to me and I would love to help you create AR projects. 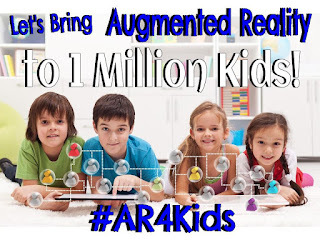 Together Let's Reach 1 Million Kids with Augmented Reality!